The Green Beret recently killed in combat, Saturday, Nov. 3, in Logar Province, Afghanistan is a son and grandson of Mobridge area residents. Sgt. 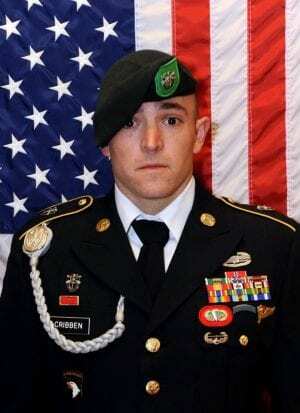 1st Class Stephen B. Cribben, 10th Special Forces Group, 33, of Simi Valley, Calif., is the son of Leslie (Sherwood) and Joe Cribben and the grandson of the late Bob Sherwood and Donna Sherwood of Mobridge. Cribben leaves behind a wife and two children in Colorado. No service announcement has been made because of a delay in bringing Sgt. Cribben back to the United States from the Middle East. Cribben had been a member of the Army since November 2002, and had just started his third tour in Afghanistan.